A year ago it was illegal. 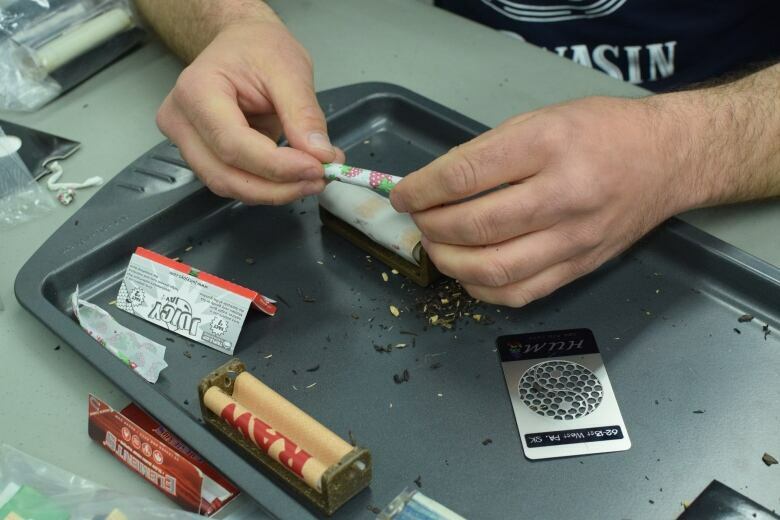 Now, rolling a joint is something you can learn to do at your local library — as long you use tea leaves instead of the real thing. 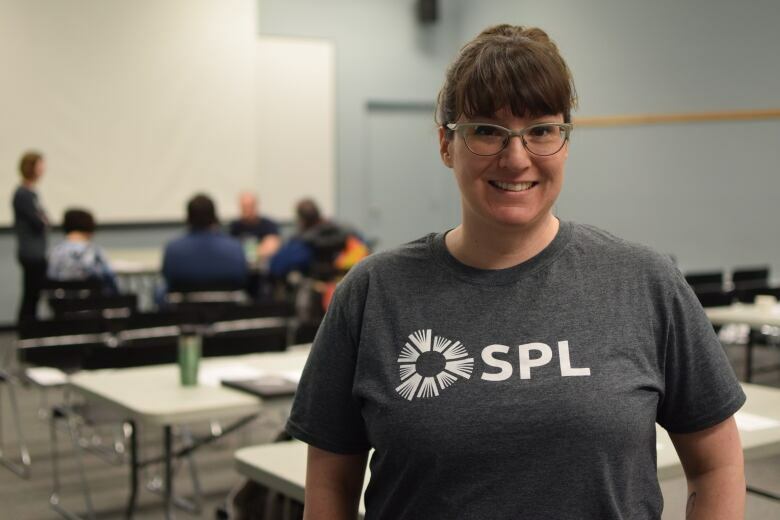 A joint-rolling workshop was one element of a day-long symposium and education event held at the Cliff Wright branch of the Saskatoon Public Library Saturday. 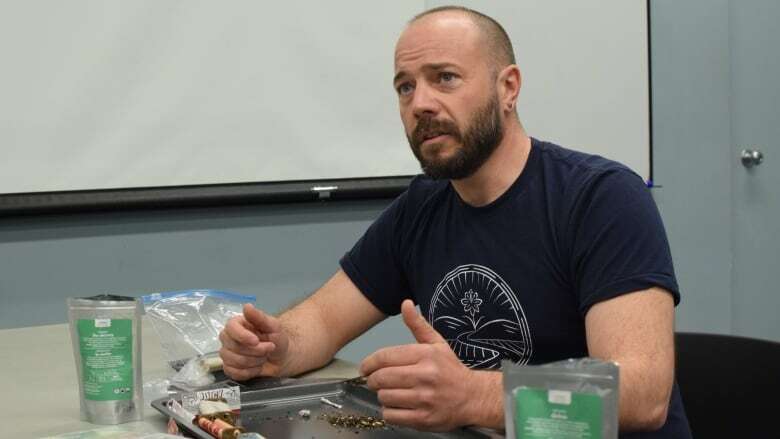 Topics covered at the event — titled "The 411 on 4/20" — included untangling federal, provincial and municipal laws, talking to children about cannabis, and discussions about the health concerns and benefits of the substance. Police and lawyers were among those at the event. Community librarian Jenny Ryan says libraries are a place to access information without bias. "It's hard to find information. I think people don't know who to ask," said Ryan. "I talked to a doctor about coming out, and he said 'You know, I'm just now getting patients disclosing to me that they've been using this for years.' I think people are starting to be able to share information and ask these kinds of questions." The library has also created a book list for people seeking more information about marijuana. Ryan said the idea to run the event came to her at a Thanksgiving dinner, where she realized the guests had a lot of questions about marijuana. They were a combination of recreational and medical users, and people who had never been exposed to cannabis at all. "We were having this conversation and I said, 'I wish we could have a space where everybody could sort of ask those questions without feeling nervous or weird or shameful, and could be able to share this information and access this information that was accurate," she said. "And somebody was like, 'Well, don't you work at the library? That's where that happens.'" She said the joint-rolling workshop was a fun event but also an opportunity to educate people about healthier ways to consume marijuana that don't involve smoking. Jaime Hagel, who uses cannabis to treat the symptoms of Crohn's disease, spoke about how her life has changed since she started using cannabis four years ago. She had been struggling with the symptoms of the illness for more two decades. Hagel's goal as a presenter at the symposium was to reduce stigma surrounding the drug's medicinal use. "If I had known more about cannabis as medicine I wouldn't have suffered as long," she said. "I went from being on a permanent disability leave to being able to be a functional person again." Ryan said she hopes a similar event will be held in the future but urged anyone with questions to contact the library.